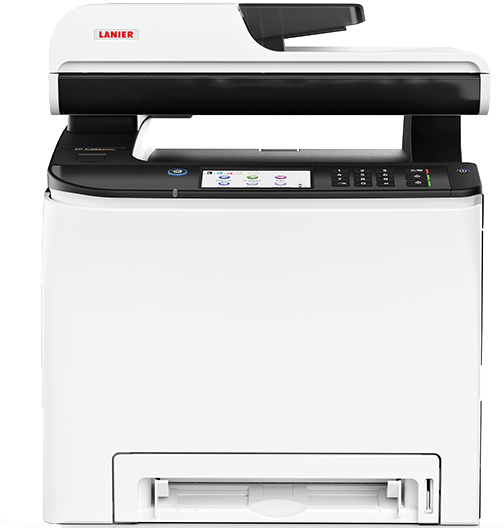 The 21 page-per-minute (ppm) Lanier SP C262SFNw Color Laser Multifunction Printer (MFP) optimizes printing, faxing, scanning and copying so small companies can communicate more efficiently. This compact device delivers big results including increased productivity and professional-quality color copies and prints that will impress both your customers and coworkers. Plus, it fits easily on home-office desks, under retail registers and hotel front desks, and on side desks in office reception areas.